I can't say I've noticed that trend, but it would definitely suit us. Wake me when Kyrie is traded!  Looking forward to playoffs in a few months. It will be awesome. Assist totals getting better and better and this is with stars shooting bad percentages.I know who I want shooting ball with getting to the finals on the line. As usual, I'm just glad that Smart plays for our team. Surprised Jaylen was benched in favor of Jayson down the stretch. Tatum was brutal tonight whereas Jaylen was more in the flow of the game. At that point in the game I was really hoping Tatum would come out of his shooting funk and help win the game, but no dice. He did make a good assist to Horford in the lane with about 2 minutes left. Kyrie has been playing tougher D all season. Conley is a load, good 1-1 matchup. Exactly right. The effort on defense has been there since the beginning of the season. Glad to see Baynes back. Gasol did nothing tonight. He had just obliterated the Cs last time. Hope Gasol gets traded to a contender and opts our next year. I think he’s be a great fit for this team for the mid level. He’s sort of like a Horford clone. I know he’s older but he can pretty much do it all. Defense is kinda new concept for Irving . Lebum believes stars should coast and using most of,your energy on offense . Let the peeons play defense . 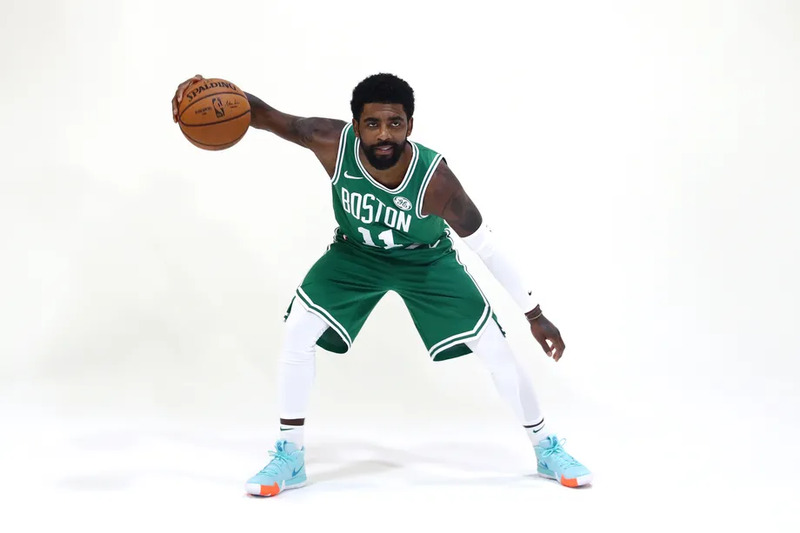 Kyrie, " What is this thing called Defense ? , I think I like it ! "